May 13, 1920 - November 18, 2018 Carol Wai Tor Chang Yap passed away peacefully in her sleep, surrounded by her family at the age of 98. Carol, whose Chinese name means "White Peach," was the eldest of 2 girls and 2 boys. Born in Honolulu, Hawaii, her parents were Kwai Lun Chang and Alice Yee Chang. After graduating from Punahou School she attended the University of Hawaii before marrying Dr. Raymond Yap in 1940. Carol was one of the pioneers in Honolulu's fashion industry, opening the first Joseph Magnin branded store in Honolulu in 1948, called Roberta-Lind's Shoppe (named after her daughters) on Kapiolani Boulevard. 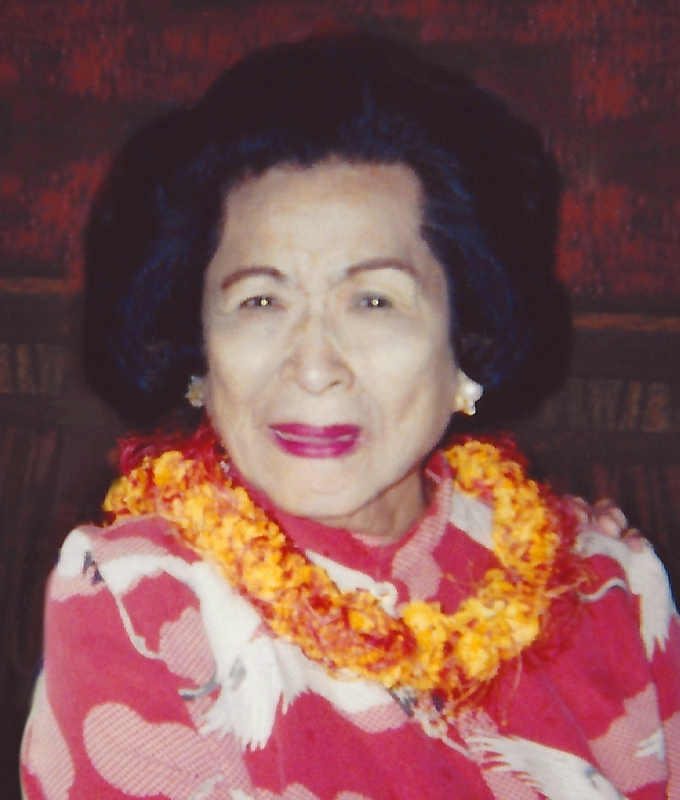 She was an astute business woman and with her husband in the 1950's, developed several commercial and residential properties, including the Piikoi Parkway Building across from Ala Moana Center, and the 42 acre Kahaluu Fishpond in Kaneohe (which is on the State and National Registers of Historic Sites and the filming location for the movie Karate Kid II). In 1995, the family built a chapel on the site, which was blessed and christened "Aloha ke Akua" translated as "God is Love" by Reverend Abraham Akaka. A socialite among Honolulu's movers and shakers, Carol always exhibited charm and grace, hosting many parties and dinners that were often featured in the society columns. Carol loved to socialize with her numerous friends, playing mah jong and bridge. She especially enjoyed the time she was able to spend raising her grandson, Chris. Carol Yap is survived by her daughter, Linda Yap Wong; grandson, Christopher Scott Wong (Constance) and was pre-deceased by husband Raymond in 1998 and daughter Roberta in 2006. Contributions in her name may be made to the Raymond and Carol Yap Scholarship fund at Mckinley High School. We will truly miss Carol's caring and generous spirit. In accordance with Carol's wishes, private services were held.